The leaves are changing and, before we know it, snow will be covering the ground. It can be picturesque seeing the world in all white, but this weather can mean danger on the road. With winter approaching, checking your tires can mean the difference between being able to safely and effectively control your car’s movement during winter weather or being the reason that an accident happens. If you live in a snow-heavy area, making sure you have tires that are built for inclement weather can keep you safe throughout the winter months. Most tires aren’t made specifically to be used in the snow, so investing in snow tires, which are developed with cold weather-withstanding compounds, can keep your tire material stronger and ensure pliability throughout the winter months. For every ten degrees the temperature drops, most cars lose one pound per square inch (psi) of air pressure in their tires. This can mean a big shift in maneuverability and ability to navigate winter weather. If the weather has changed, and you haven’t checked your tire pressure, you should consider getting to an air pump. Making sure your tires have tread is, quite possibly, the most crucial part of making sure that you’re prepared for the winter weather. 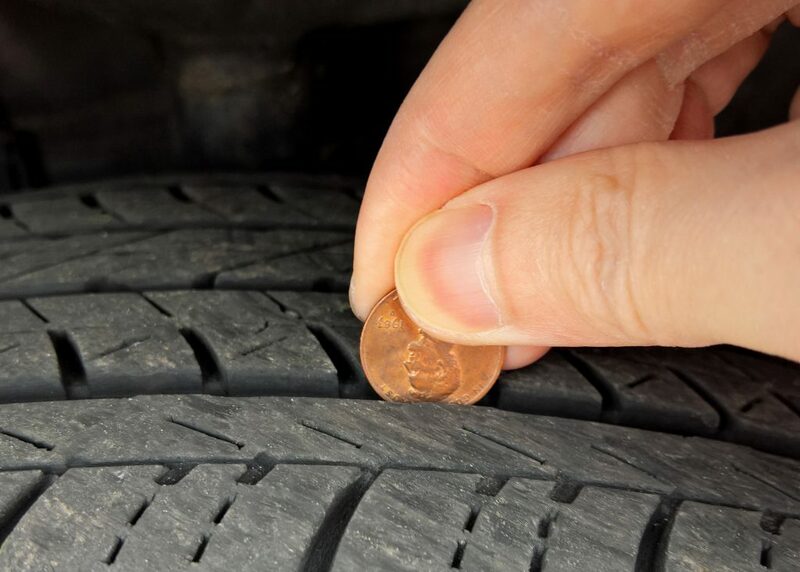 Testing your tread depth using the penny test (pictured below) is the easiest way to see if your tires are ready to be replaced. This test is simple. If you insert the penny in the tread and can see the top of Lincoln’s head, your tires may not have enough tread. If his head is covered, they should be safe to use throughout the winter. Keeping your car in good repair can ensure safety throughout not only the winter but also the rest of the year. If your vehicle needs window repair or replacement, we offer back windshield replacement in Bucks County and the surrounding areas. Learn more about our services by visiting us online at https://autoglassfitters.com/ or by calling 1-877-256-2054.